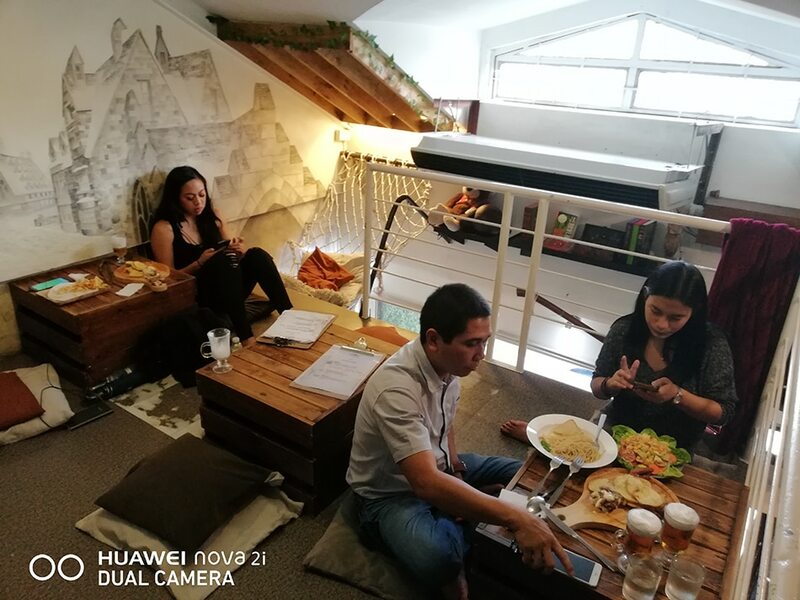 During the holidays, the demand for new and cozy places to hang out rises, because Filipinos love to just chill with friends and family while eating good food. 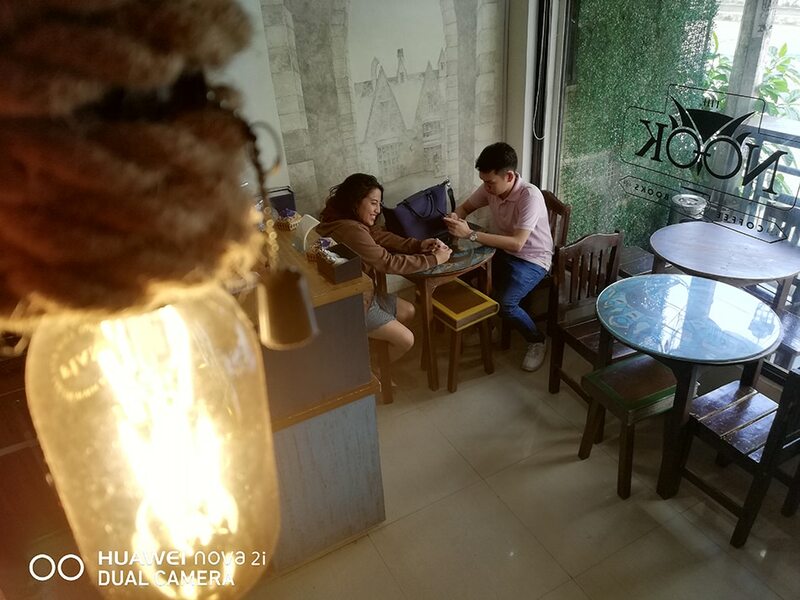 Here are three cozy places in Quezon City to hang out, even if it's not the yuletide season. 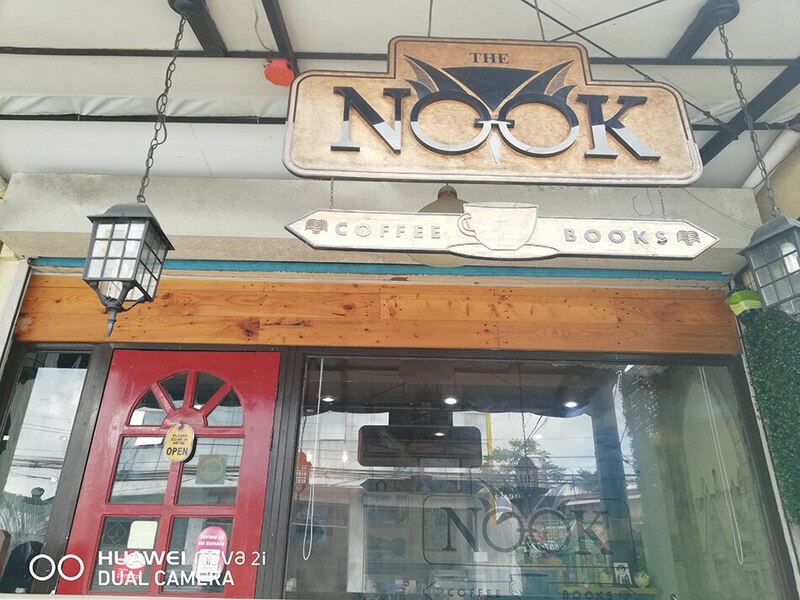 The Nook Cafe is definitely the place for Potterheads. This place, which looks ordinary from outside, is a magical haven for Harry Potter fans on the inside. The Nook Cafe balcony entrance, inspired by the Harry Potter movie series locations. A fancy light bulb lights up the first floor of The Nook Cafe. 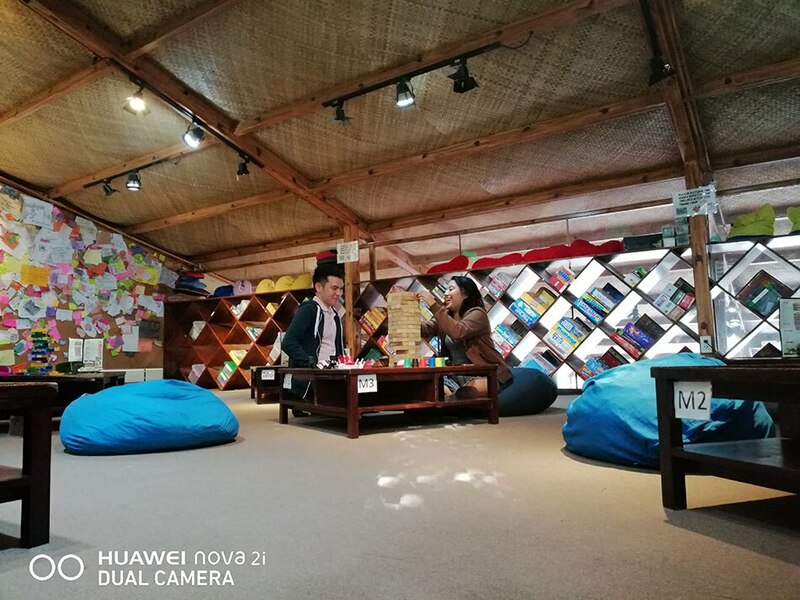 On the second floor of The Nook Cafe, cozy pillows await Potterheads who want to chat while having some good food and a butterbeer. 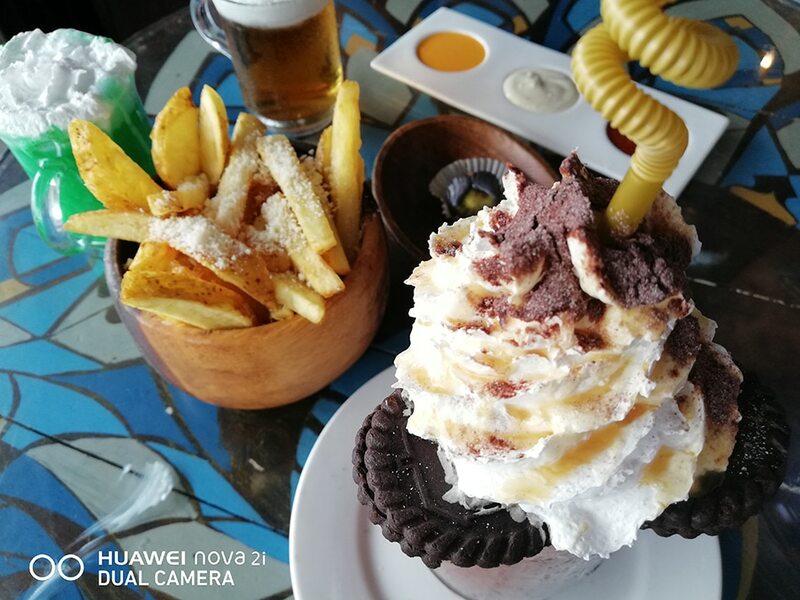 The Nook Cafe bestsellers: Choco Macadamia shake, Potato Wedges with 3 Dips, Grinch hot beverage, and Butterbeer in Harry’s size. The Nook Cafe signature offers in green (The Grinch hot beverage) and yellow (Butterbeer in Harry’s size) and the cute Snitch chocolate ball. Although it’s a small place, and food is served on small plates, The Nook Cafe can fill you up till a late dinner if you visit one afternoon. The Potato Wedges in 3 Dips (P130) paired with a Harry Potter signature sweet drink, Butter Beer in Harry’s size (P100), are a good start while on a tight budget. It's also totally free to borrow, for use in the cafe, black robes and scarves in different Hogwart houses' colors - Gryffindor (maroon), Hufflepuff (yellow), Ravenclaw (blue), and Slytherin (green). 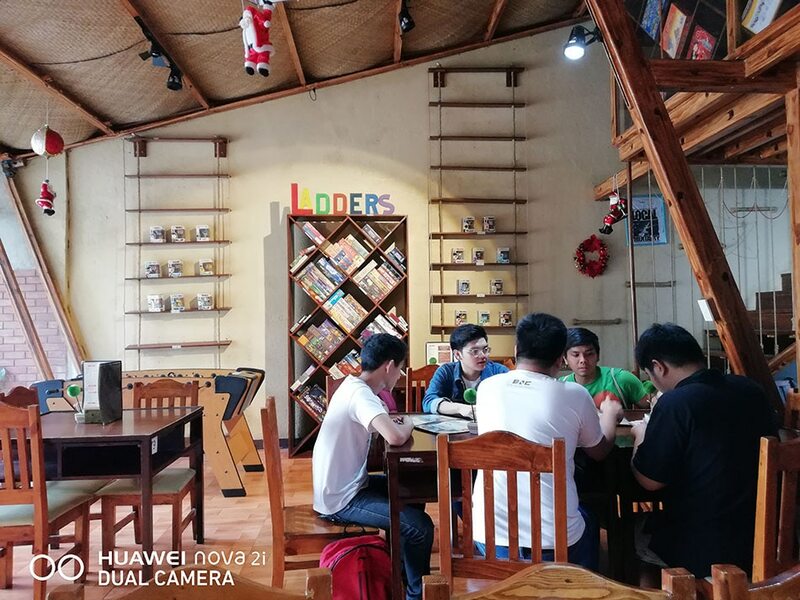 This fun spot along Maginhawa Street, Snacks and Ladders, will make visitors want to kill time the old-fashioned way with its diverse selection of board games. 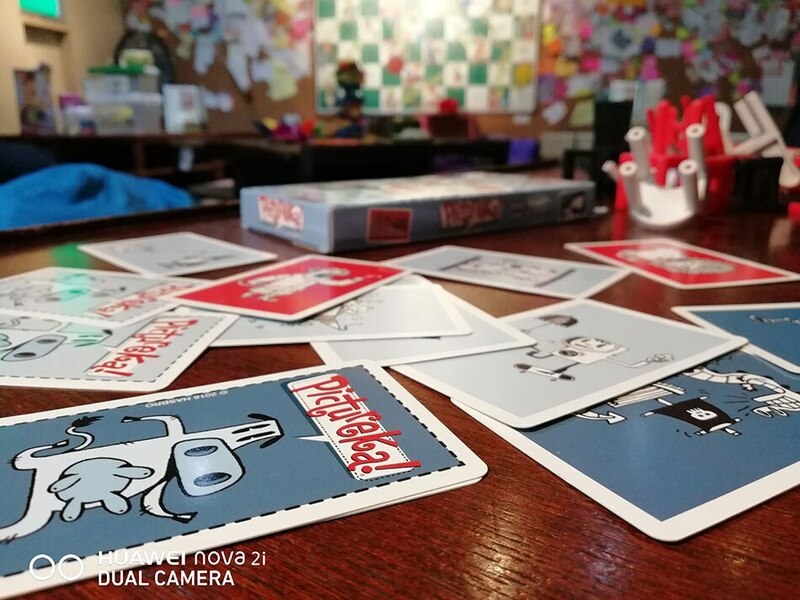 Inside the first floor of Snacks & Ladders, a group of friends starts a feast on their favorite board game. Up on the second floor of Snacks and Ladders, there are large seat cushions for customers to have a more comfy playtime. Snacks and Ladders' board and card game selection. Snacks and Ladders bestsellers and colorful games. 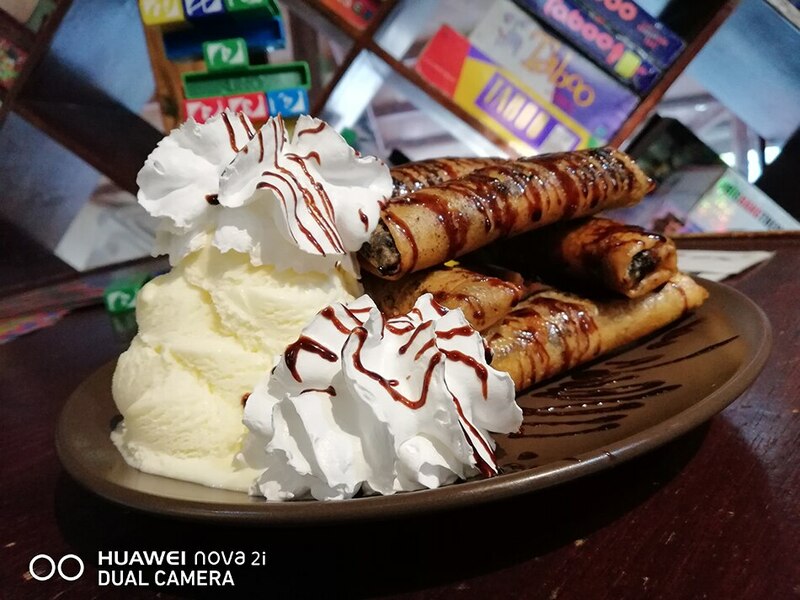 Puffed with creamy whip cream and vanilla ice cream is Snacks and Ladders' yummy dessert called the Twisturon con Chocolate. Snacks and Ladders also serves good food in generous amounts. 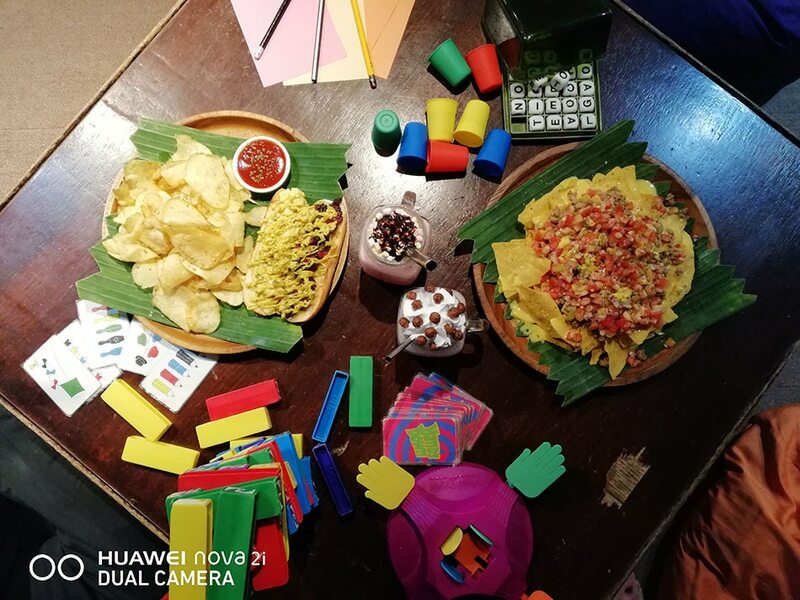 A large plate of nachos can fill up a group of three, especially when they are paired with some tasty milk shakes and Pinoy "scramble" smoothies. 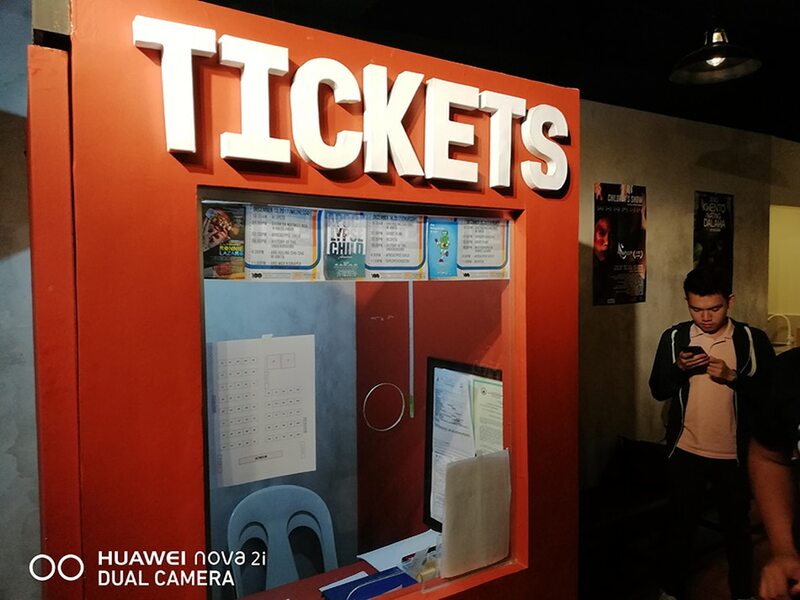 Cinema Centenario, a newly opened micro-cinema along the famous food hub Maginhawa Street, offers independent local Filipino films for everyone to see. It can seat 65 people in one screening. 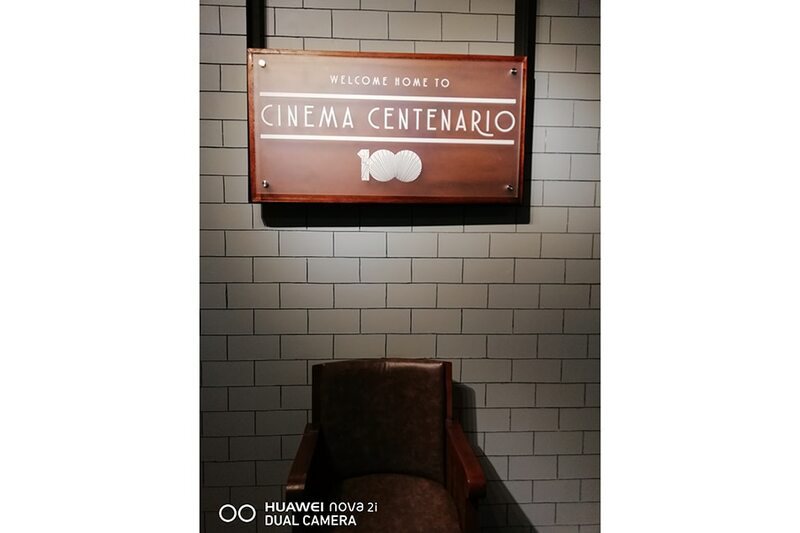 Custom-made theater chairs welcome customers at the entrance of Cinema Centenario. Cinema Centenario ticket booth in orange paint. 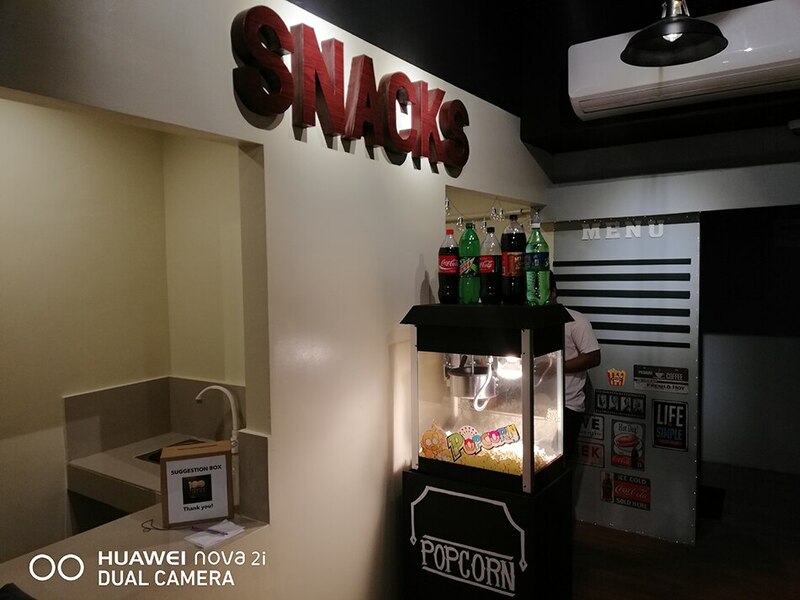 Cinema Centenario's snack bar is open for all moviegoers. 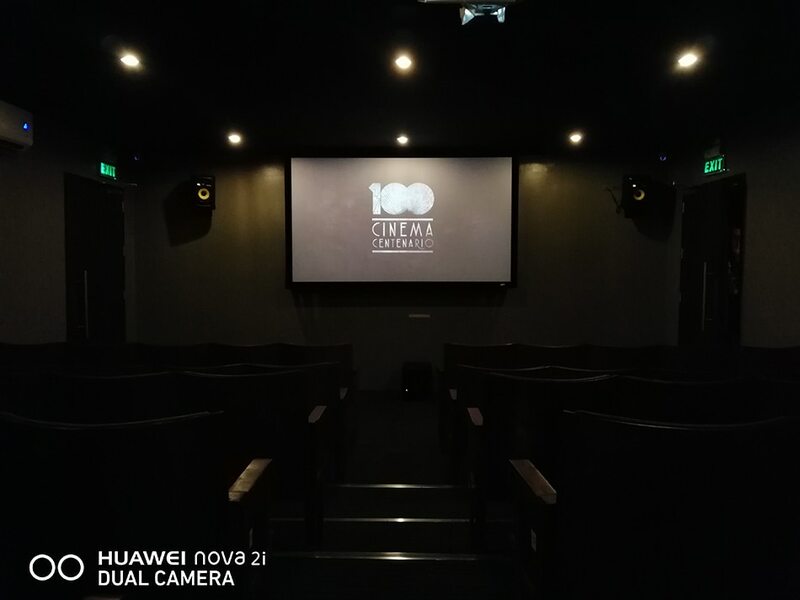 A peek inside the 65-seat micro-theater of Cinema Centenario. Inside the mini-theater, guests will be able to experience surround sound, and a 100-inch cinematic screen. Cinema Centenario aims to support the local film industry, and promote original works of Filipino directors, producers, scriptwriters and actors. So expect to see indie films that are not in mainstream cinemas. While hanging out in these places, visitors would find lots of reasons to whip out their phones to take photos, not only because of the venues' unique takes on food and entertainment, but also the Instagram-friendly surroundings. 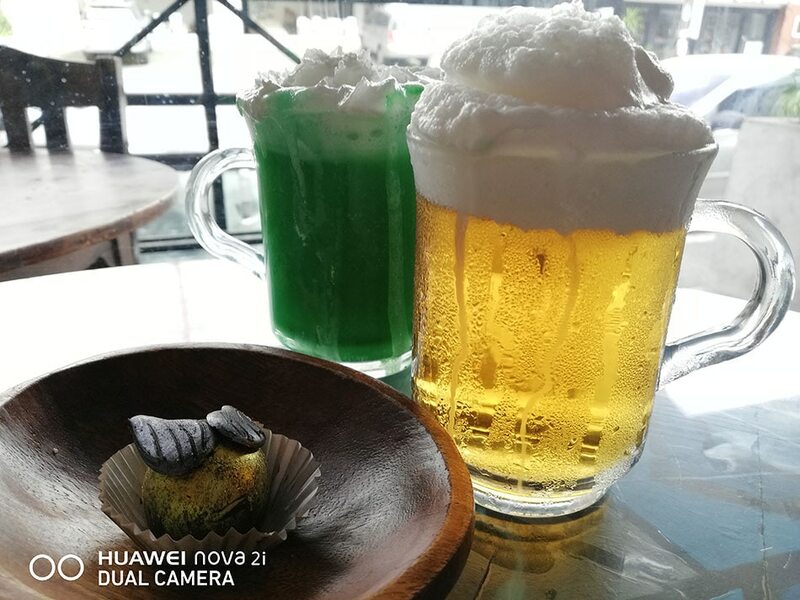 A great choice to use in capturing precious memories would be the Huawei Nova 2i, the newest addition to the smartphone series of Huawei. It was was designed with advanced camera technology to capture professional looking photos in good light, even in low-light situations. This new smartphone offers a front and back dual lens cameras in combined 16MP and 2MP lens (rear-facing). For the latest updates and more information follow Huawei's Facebook page.